This essay is on the earliest serious grammatical documents in existence: a set of bilingual Sumerian-Akkadian verbal paradigms. 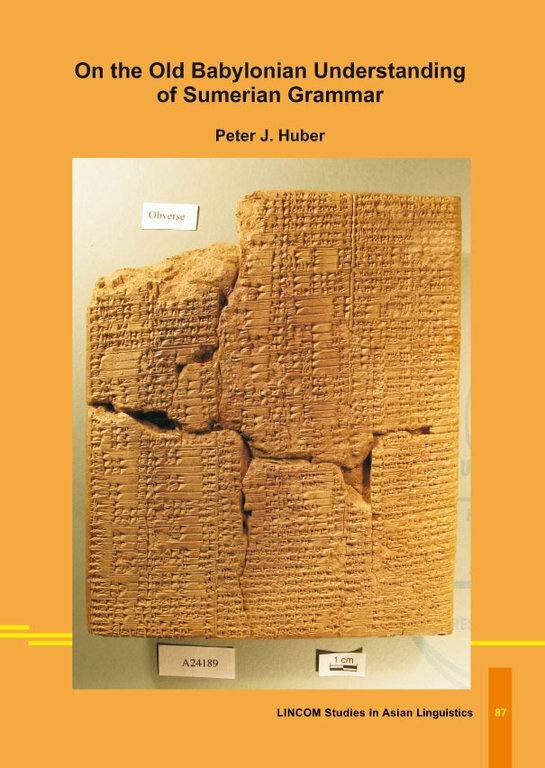 These fascinating texts date to the early second millennium BC, when Sumerian was dead or dying as a spoken language, and are preserved in the tablet collection of the Oriental Institute of the University of Chicago. The Appendix reprints them together with morphological analyses and an English translation. They provide a bright spotlight on Sumerian verbal morpho-syntax – probably as sophisticated as is possible within a paradigmatic, non-discursive presentation. A considerable effort is made here to extract the Sumerian grammatical structure, as it was understood by the Babylonians, from these texts alone. The paradigmatic grids are based on the Akkadian language, but they are complemented by inserts illustrating Sumerian features that do not fit into the Akkadian straitjacket. These texts are of unique importance for the early history of linguistics, but regrettably, they are hardly known outside of Sumerological circles. Interestingly, they seem to put special emphasis on aspects that still are controversial in modern Sumerian grammars, sometimes offering discordant interpretations. For example, deviating from modern grammars, they make a clear syntactic distinction between the first person pronoun and the ventive. ISBN 9783862888689. LINCOM Studies in Asian Linguistics 87. 210 x 297 cm. 142pp. 2018.